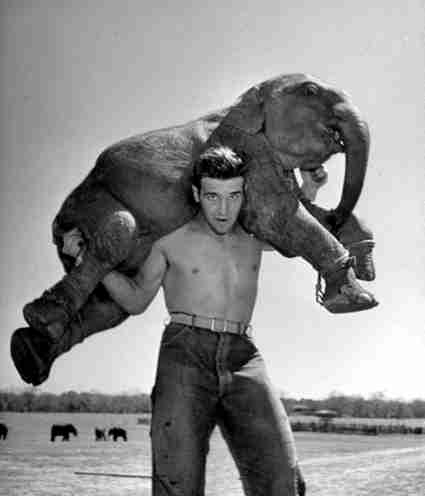 Did You Know, Rex Williams was father of elephant and animal trainer Ben Williams. 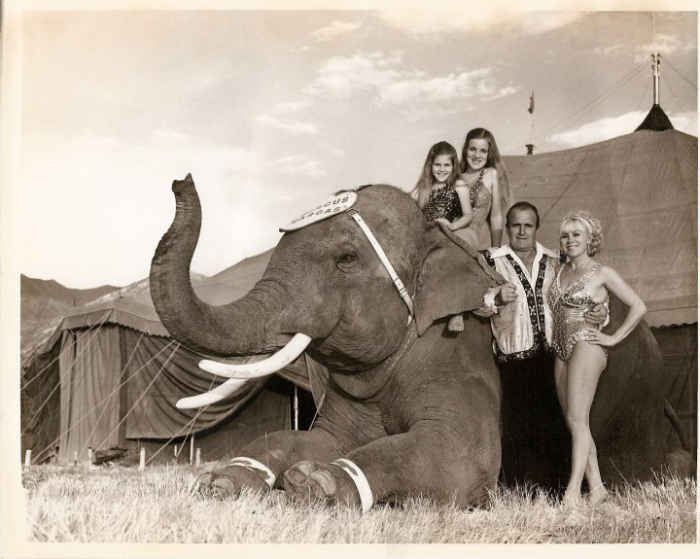 Did You Know, Rex Williams' daughter Darlene Ava Williams, is a Hollywood actress and stunt woman, recently acting in the movie "Water for Elephants". 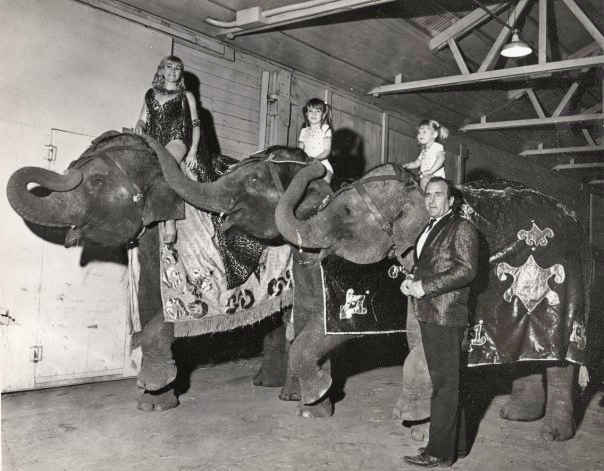 After serving in the United States Marine Corps, Rex Williams began his career as elephant trainer on Ben Davenport's Dailey Bros Circus. 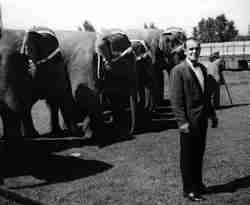 Rex led the elephant department on the Clyde Beatty Cole Bros Circus for many years. 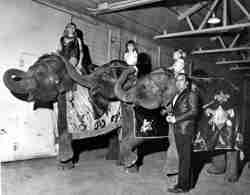 It is on Beatty Cole Circus that Rex began working the fast paced elephant act while riding a white horse, (which would become his trademark). 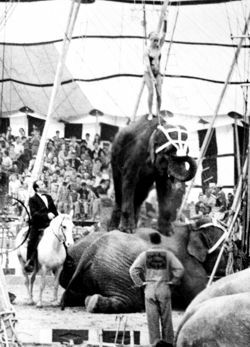 The sight of the elephant herd rushing into the rings and Rex riding along side on the horse was a spectacle that audiences did not soon forget. 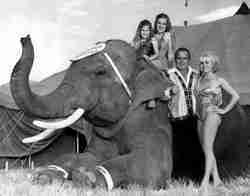 On April 4, 1994, In Salt Lake City, Utah, while working with the Jordan Brothers Circus, Rex was seriously injured by an elephant. The bull named Sue, threw Rex to the ground them stepped on him. 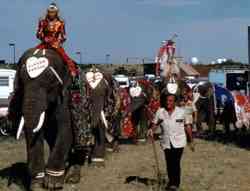 Rex received a broken arm, four broken ribs, and internal injuries from the incident. Rex died in Daingerfield Texas 2003 due to complication from hypothermia. 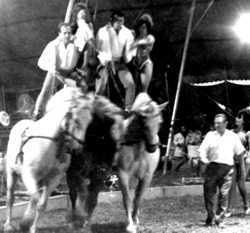 On January 20, 2001 Rex Williams was inducted into the Sarasota's Circus Ring of Fame.